Whether it’s a ravaging wildfire, tragic flooding, or even an untimely power outage, having a crisis communications plan is one of the smartest things you can do as a business owner or operator. Don’t wait until the last minute, because having the right safeguards in place can truly make or break you when disaster strikes. September is officially National Preparedness Month, as declared by the Federal Emergency Management Agency (FEMA). So in the spirit of the month, let’s talk about how you can prepare for when the worst happens. Some semblance of a plan for how you’re going to react, what steps you’re going to take, and how you’ll execute will go a long way. It’s worth mentioning that this will help tamp down the initial shock and panic that inevitably hits when the truly unexpected happens. 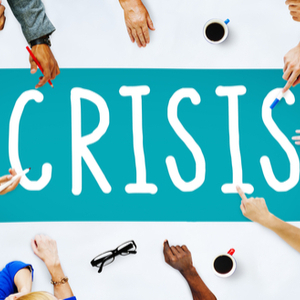 A crisis communications plan for how you’ll handle customer relations during the time of crisis is one of the most important pieces of this. If you’re a Fortune 500 company or a two-person-family-run business, this is a must. First things first, you’ll need your social media or website login information on hand and not only in your office. This way you can communicate the “messaging” that you’ve prepared for when an unforeseen circumstance arises. In PR lingo, “messaging” refers to the specific, pre-drafted message that you’ll most likely copy/paste in your response to customers. You may think this is needless, and that you’ll just think of something on the spot, but that’s where you’re wrong. When there’s an emergency, chances are you won’t be thinking completely rationally. This is not something to brush aside either. Companies are defined by how they handle adversity publicly (just ask Starbucks, United Airlines, or Verizon—the latest company in reputation recovery). The next part of your plan is simple. Write out everyone who will need to be contacted in the moment of crisis, include their responsibilities, list their contact info, and then clue them in that you’ve pegged them for their respective tasks. Have a copy on your computer AND phone. Download a document saving app, email your word document to yourself, and then save it on your phone. You can’t rely on having you computer on hand, especially if the same disaster affecting your business is affecting you (think power outage). Have a written copy, just in case. Maybe your business runs perfectly with no hitches for 3 years, you’ve since changed phones and your word document with your plan on it is buried deep in your overloaded hard drive. This is where you’ll be thankful to have that hard copy of your plan and written out messages. Store it in your home office, under your mattress, or even your junk drawer (I think that might be just a Midwest thing). One pat on the back. You just put yourself in a much better position as a business owner, manager, or communications professional.